Heavy Duty Vinyl & 1 Year Warranty! 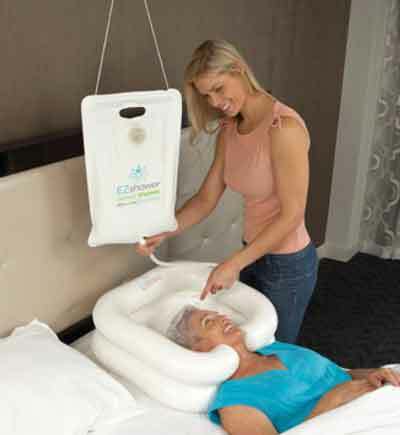 EZ-Shower® Bedside Shower - Enjoy a refreshing shower from the comfort of bed with this inflatable basin. 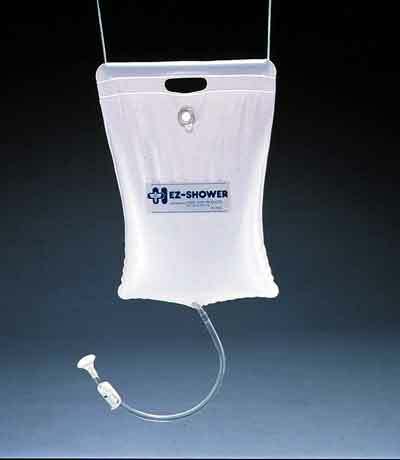 The EZ-Shower® will hold up to 2½ gallons of warm water and is made to hang on a bedpost or IV hanger. The heavy duty vinyl construction on the EZ shower is latex free and has a built in carrying handle. Free Ground Shipping is included. The EZ-Shower is non-returnable due to hygiene safety. EZ-Shampoo® Hair Washing Basin - Feel refreshed with a quick shampoo bath without having to leave your bed with this portable wash basin. The inflatable hair wash basin has an adjustable headrest for comfort and is perfect for use with our EZ-Shower® to make washing your hair quick and easy. This portable hair washing sink features high side walls to help prevent splashing and has an attached drain hose. This portable hair washing station comes complete with free ground shipping. 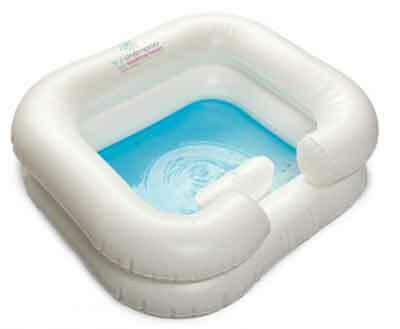 The EZ-Shampoo inflatable basin is non-returnable due to hygiene safety. Most Bathing Aids Ship the Same Day! We ship from WA and KY for the fastest delivery anywhere in the USA! 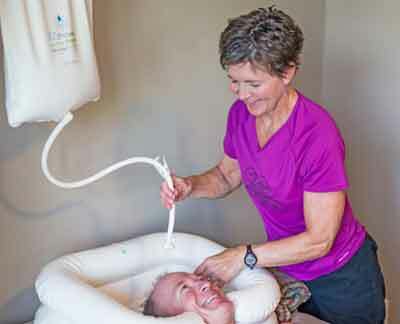 EZ-Shower Bedside Shower: Easy to enjoy a shower when a water source is not convenient. Hair wash Basin and Shower: A fast, easy solution for your Bathing needs.